Thank you for visiting our website, please read our terms and conditions of use for our website. If you want to use this website, you must agree to conform to and be legally bound by the terms and conditions described below. We do not provide services or sell products to children. If you are below the age of 18, you may use our website only with the permission and active involvement of a parent or legal guardian. 2. OUR COOKIES POLICY IS PART OF THESE TERMS AND CONDITIONS. Our cookies policy is part of, and subject to, these terms and conditions of use. You may view our cookies policy here. 3. OUR ANTI-SPAM POLICY IS PART OF THESE TERMS AND CONDITIONS. Our anti-spam policy is part of, and subject to, these terms and conditions of use. You may view our anti-spam policy here. 3. OUR DCMA POLICY IS PART OF THESE TERMS AND CONDITIONS. Our DCMA policy is part of, and subject to, these terms and conditions of use. You may view our DCMA policy here. 3. OUR EXTERNAL LINKS POLICY IS PART OF THESE TERMS AND CONDITIONS. Our external links policy is part of, and subject to, these terms and conditions of use. You may view our external links policy here. These terms and conditions may change from time to time. If such changes are made, we may send you an email notifying you of this change, but we also may not. It is up to you to check out these policies each and every time you access our site. If you disagree with the changes that have been made, you should not use our website. Any questions or concerns should be brought to our attention by sending an e-mail to support(at)hypnotherapynewcastle.com providing us with information relating to your concern. All content on our website is owned by us or our content suppliers. On behalf of ourselves and our content suppliers, we claim all property rights, including intellectual property rights, for this content and you are not allowed to infringe upon those rights. We will prosecute to the fullest extent of the law anyone who attempts to steal our property. You agree not to copy content from our website without our permission. 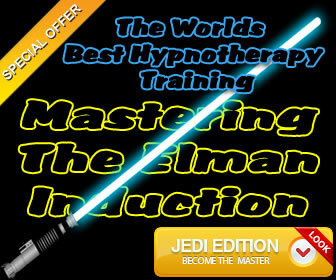 Any requests to use our content should be submitted to us by e-mail to support(at)hypnotherapynewcastle.com. If you believe that your intellectual property rights have been infringed upon by our website content, please notify us by sending an email to support(at)hypnotherapynewcastle.com. Please describe in detail the alleged infringement, including the factual and legal basis for your claim of ownership. The information on our website is provided on an ”as is,” ”as available” basis. You agree that your use of our website is at your sole risk. We disclaim all warranties of any kind, including but not limited to, any express warranties, statutory warranties, and any implied warranties of merchantability, fitness for a particular purpose, and non-infringement. Information on our website should not necessarily be relied upon and should not to be construed to be professional advice from us. Our total liability for any claim arising out of or relating to our website shall not exceed one hundred ($100) pounds and that amount shall be in lieu of all other remedies which you may have against us or our affiliates. Any such claim shall be subject to confidential binding arbitration as described later in these terms and conditions of use. We are not responsible for any obscene or offensive content that you receive or view from others while using our website. However, if you do receive or view such content, please contact us by e-mail to support(at)hypnotherapynewcastle.com so that we can investigate the matter. Although we are not obligated to do so, we reserve the right to monitor, investigate, and remove obscene or offensive material posted to our website. You agree to obey all applicable laws while using our website. You agree that the laws of the United Kingdom govern these terms and conditions of use without regard to conflicts of laws provisions. You also agree that any dispute between you and us, excluding any intellectual property right infringement claims we pursue against you, shall be settled solely by confidential binding arbitration based on United Kingdom Arbitration Law within the boarders of England. All claims must arbitrated on an individual basis, and cannot be consolidated in any arbitration with any claim or controversy of anyone else. All arbitration must occur in the United Kingdom. Each party shall bear one half of the arbitration fees and costs incurred, and each party is responsible for its own lawyer fees. 11. SEVER-ABILITY OF THESE TERMS AND CONDITIONS. 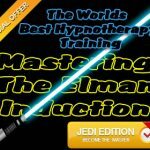 Any questions or concerns about these terms and conditions of use should be brought to our attention by e-mail to support(at)hypnotherapynewcastle.com providing us with information relating to your concern.